A Year of FHE: NEW Mormon Channel Series // Hope Works...like Ted Talks for Latter-day Saints! NEW Mormon Channel Series // Hope Works...like Ted Talks for Latter-day Saints! Recently, I found out about a new series of videos available on MormonChannel.org. 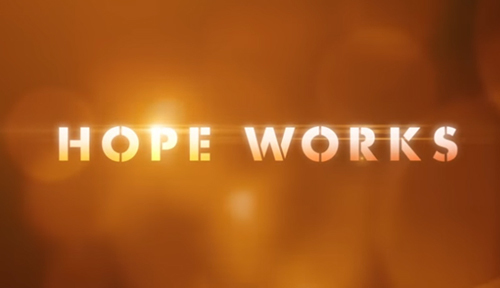 It's called HOPE WORKS and it's kind of like Ted Talks, but about spiritual things. These talks are captured at live events where presenters share interesting insights about hope and faith and how it works in their lives. I love the format and, after watching two or three, I also played one on my iPhone and just listened as I did the dishes. As a Mom of 5 I have truly struggle to find time each day to feed myself spiritually. I know, I know, I should get up at the crack of dawn BEFORE the kids get up. Sadly, that won't happen. I have life-long insomnia and I have two kids under three who we are struggling to sleep-train from their cribs to their beds. SO, when I have a small snippet of free time I love that this provides a way to either watch or listen to an uplifting message. As I mentioned, I listened to more than one of these HOPE WORKS talks, but my favorite of the six currently available is "We Aren’t God’s Only People" by Samuel Hislop. Having lived on the East Coast for the last 7 years, our family had friends of all faiths. Our good friends and neighbors were Lutherans who were amazing examples of followers of Christ. I became friendly with an Amish neighbor while we lived in Lancaster, PA. And when we lived in Delaware our family was blessed to know the most kind, generous, and wonderful family. They helped us move when they had never even met us, invited us to our first Crab Pickin', and even gifted us a working car when ours died. They also happened to be Atheists. When we moved to Utah we were surprised to find out our school-age children quickly gained a reputation in our school as "kids who would play with non-member children". I have hardly ever been more proud! This is a topic that I feel is vastly important and I absolutely love this talk, which shares scriptures, personal stories, and quotes from Latter-day Prophets to show us how important pother faiths are to our lives and how we can appreciate, love, and learn from those of other faiths. There are all kinds of wonderful topics from loss of a child to a crisis of faith to finding joy in the complicated and daunting task of parenthood and much in between. Head over to the HOPE WORKS page and check out one of the talks available right now. You will be uplifted and inspired! Amen! 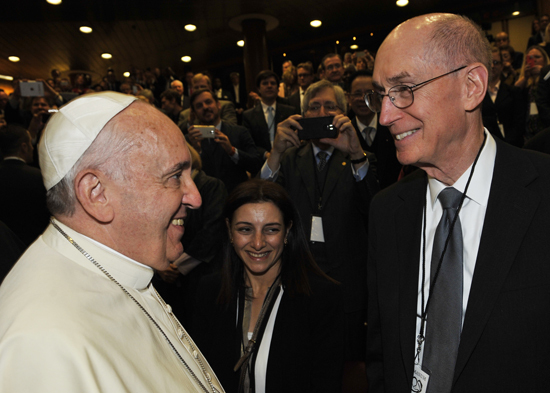 The only way to share the light of Christ is to befriend all of God's children no matter where or how they worship. I actually watched the one you recommended, "We Aren't God's Only People," and I LOVED it!! Thank you so much for sharing!